Itosu studied under Sokon Matsumura from an early age at Yamagawa Village, Shuri. He was well versed in both Chinese and Japanese classics, and became secretary (scribe) to the last Ryu-Kyuan King, Sho Tai, until the monarchy dissolved in 1879. During the next twenty years Itosu learned karate from Shinpan Shiroma (Gusukuma) of Shito-Ryu, from Tomari Village and a Chinese who was living at Tomari. Later Itosu simplified Matsumura’s kata Nahanchi. He also developed the corkscrew punch into present form and made up the Pinan Katas: Shodan, Nidan, Sandan, Yandan, and Godan. Itosu had learned the kata Chiang Nan from a Chinese who lived in Okinawa, and later remodeled and simplified this into five basic katas. This made the teaching of kata easier for beginners and also made it easier to teach to large groups of people. These katas later became Ginchin Funakoshi’s Heian katas for Shotokan at Tokyo. Theory also suggests that Itosu also developed these katas from analysis of the kata KusanKuDai. In April of 1901, Itosu introduced Karate to the elementary schools as a physical training curriculum. Karate was considered too risky for children so Itosu removed the dangerous techniques and simplified his other katas and sparring into mostly punch and block techniques. This made it acceptable to the educational system. In 1908, Itosu sent a letter to the Education Department concerning the idea that led to the introduction of his Karate to all Okinawan schools, and later Japanese Mainland. Itosu’s influence eventually played an essential role in the militaristic indoctrination program. At this time Karate was still referred to as Tode. 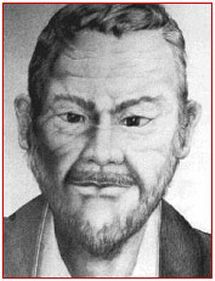 Among Itosu’s students in relation to ShinPu-Ren, were Ginchin Funakoshi of (Shotokan), and Kenwa Mabuni of (GoJu Ryu). Itosu’s Karate (Kobayashi) or as it is now known as (Shorin-Ryu) used the Chinese characters that literally translated mean “small wood” pronounced Kobayashi, so as to differentiate this Shorin from the Shorin meaning “Shaolin”.